A geographic information system tool designed by Colorado School of Mines students is helping improve access to healthy, local food in Jefferson County. It started as an EPICS II project in 2017, but the partnership with GoFarm, a Golden-based nonprofit dedicated to improving local food access, has continued to grow and thrive. 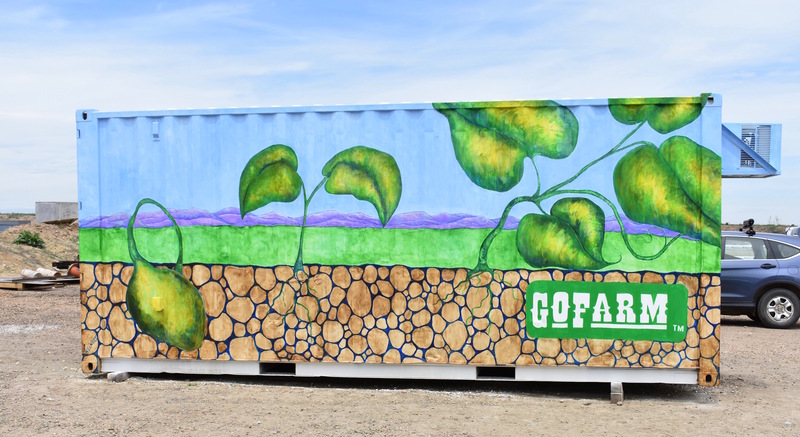 Earlier this summer, two new pickup locations for GoFarm’s community-supported agriculture (CSA) program opened in Arvada – the first locations that GoFarm selected using the data from the Mines GIS project. One container is in northwest Arvada, outside Centura Health’s Arvada Neighborhood Health Center at West 64th Avenue and Quaker Street. The other, a pilot program of GoFarm’s proposed “Green Grocer” model, is in southeast Arvada, at the Jefferson County Head Start building at West 52nd Avenue and Allison Street. GoFarm is growing its CSA using a three-pronged approach – one distribution point is located in a high-income area, one in a low-income area, and then both are connected with as many nearby farmers as possible. The container in the high-income area helps subsidize the low-income one, both sets of customers know they’re helping farmers in their own community and the dollars all stay in the local economy, O’Rourke said. Mines students populated the tool with data on population density, income, land availability and existing food retailers. “You put all the data on the map and then you rank each site based on how well they line up with the criteria were looking for,” said Natalie Haber, a member of the original EPICS II team and a junior in civil engineering. Haber has continued to work with GoFarm on the GIS tool and said while she definitely likes food, she had never thought about food access and food justice before working on the project. For GoFarm, the tool worked even better than expected, O'Rourke said, and they’re already using it to plan future expansions. Jefferson County Public Health is also working in collaboration with GoFarm, Haber and Five Points Geoplanning to enhance the original tool so it can be used by JCPH community partners countywide, said Marion Kalb, food systems coordinator at Jefferson County Public Health.